Well just days ago South Africa made it legal to SELL RHINO HORN!! I am still in shock. Awesome seeing people across the globe raising awareness of the rhino crisis! We can all learn a thing or two. The new baby rhino at Kragga Kamma has a name- TANK. Isn’t he cute?? 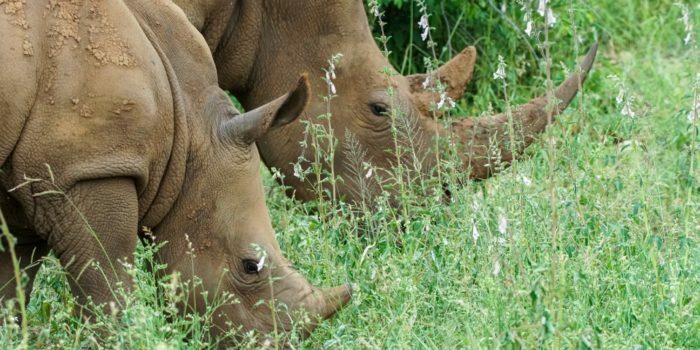 Just a few weeks after poachers broke into a rhino orphanage in South Africa and killed two baby rhinos for their tiny horns, the country made the domestic trade of rhino horn legal. That’s because John Hume, who owns the world’s largest rhino farm (with over 1,000 rhinos he has bred) sued the government to get the 2009 moratorium on the trade overturned — and he won. Worth more than its weight in gold, rhino horn is made of keratin, which is the same material as our fingernails. 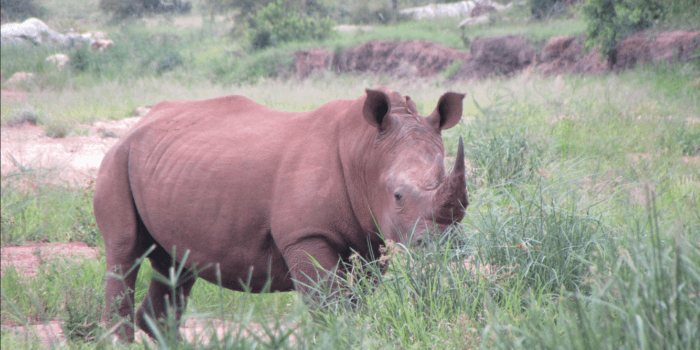 But organized crime groups profit from illegally trafficking the keratin from rhino horn across borders into Asia because of the unfounded superstition that it cures everything from hangovers to cancer. 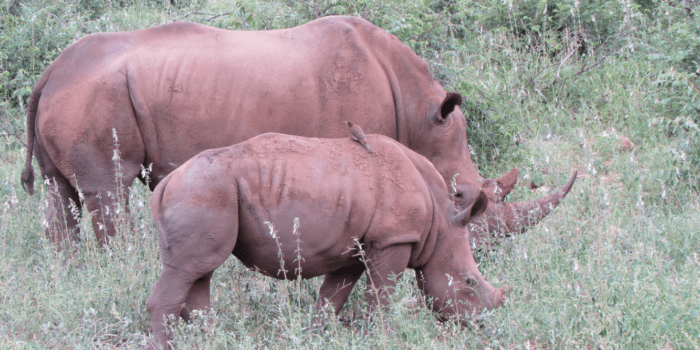 Hume claims that the only way to keep his farmed rhinos safe is to sell their horn to pay for the cost of protecting them. “To me the people who are stopping me from selling my rhino horn and protecting my rhino may as well be joined with the poachers,” he said. The trade of rhinoceros horn has been internationally banned since 1977 because high demand for the horns drives rampant poaching and threatens rhinos with extinction. Now that the moratorium on the domestic trade has been lifted, people in South Africa can get a permit to sell the very thing that has been driving poaching. Some say that lifting the ban on the domestic trade could make it easier for criminals to smuggle rhino horn out of the country. In 2016, an estimated 1,100 rhinos were killed in South Africa, which is home to about 70 percent of the world’s rhino population. The year before was even worse: 1,175 rhinos in South Africa were killed for their horns — an average of three rhinos slaughtered every day. It’s estimated only about 29,500 rhinos are left in the world.